Minimising entrapped air makes all the difference when it comes to regulating water and fire main systems. In this article we consider some of the methods used to keep water hammer at bay. Water hammer is a pressure surge caused by sudden changes in water flow – this can be due to the closure of a valve or a sudden loss of pressure. Multistorey buildings have complex water supply systems that control hot and cold water to several floors. Additionally, there is a secondary fire main network on all levels of these applications. Water hammer is common, as each level has a variable pressure – whether located at ground level, or at the topmost floor of a high-rise. In new buildings, these systems are generally charged with water. In most cases, air is manually released by opening up building taps and valves until the system is fully charged. In a multistorey building, this can be hundreds of different locations – making the process both time consuming and costly. Once the taps have been opened, and air has been released, it is assumed that all air is now gone from the system. However, this is not always the case. When water pressure reduces, as building level rises, air is accumulated at high points. This is more apparent in hot water systems, as the air is released faster. If entrapped air pockets in the water or fire main system are not automatically released, they can collapse on pump start. This can result in potential flow changes and water hammer in the network. Entrapped air can also cause reduced water flow and internal pipe corrosion. As mentioned previously, the solution to entrapped air is to release the buildup manually. However, depending on building size and complexity, this can take up to several weeks. It’s a labour intensive process – requiring multiple visits to release entrapped air. An alternative to this, is installing automatic air release valves at strategic locations. These valves have the capability to release air automatically. However, not all valves are created equal. Standard air release valves tend to be unreliable, and can weep water – which are not fit for purpose in building applications. To counter standard air release valves – Europe’s leading metallic air valve manufacturer has proposed an alternative product. CSA’s Fox-AS-HR valve has the functionality to seal positively at extremely low pressures (less than 10Kpa). Many air release valves require greater than 50 -100Kpa to seal positively, which is not always possible in multistorey applications. The Fox-AS-HR valve also features an anti-slam function. When filling the pipe network, air is released automatically at a controlled rate of flow. When the rate of air flow is controlled, air valves will minimise water hammer as the pipe charges – regardless of pipe charge speed. Air release valves work best when placed in strategic locations. The automatic function is a small opening which releases accumulated air. In a strategic location, this orifice is functional and maximises system design. The controlled air discharge prevents the water hammer effect. 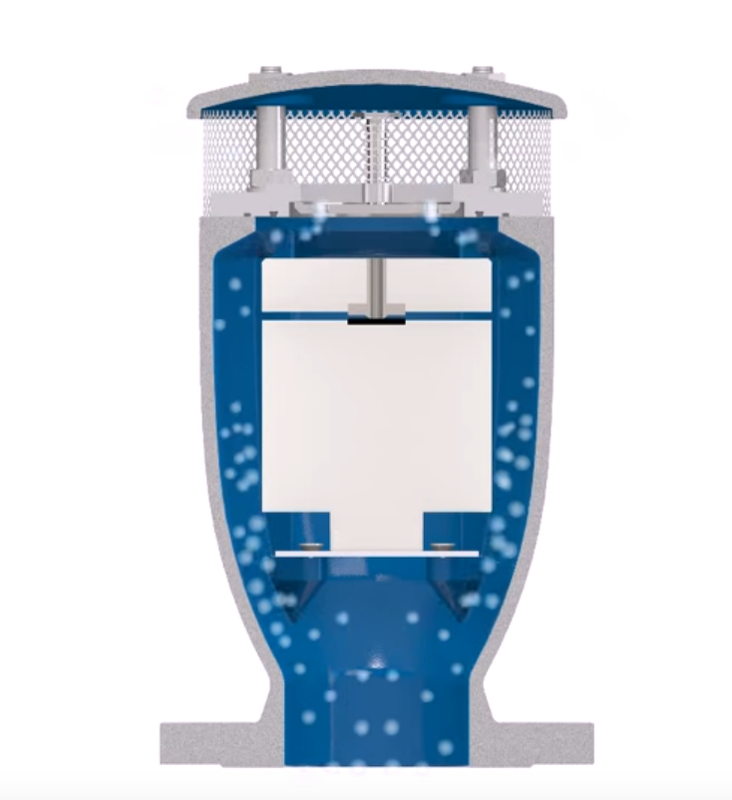 To avoid pipeline debris or pipe scale blockage – an external strainer is fitted to the valve inlet. The strainer is easy to clean to adds to the valve’s reliability once installed. Another design feature of the CSA valve is the inclusion of a metallic threaded outlet. This threaded outlet allows for the release of small air pockets into a small drain or tundish. 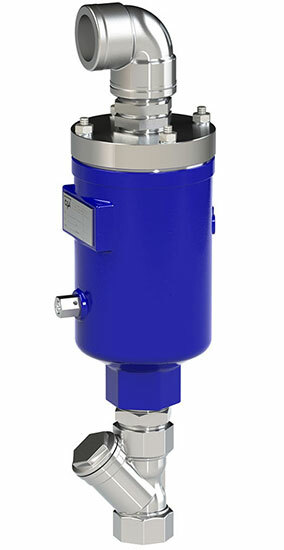 The air valve is designed with a large 25mm orifice to allow air to re-enter the pipe network. When draining a system, allowing air to pass through speeds up the process for pipe systems up to 200mm in size. Entrapped air doesn’t have to reduce network performance. By implementing products that assure functionality and form – water hammer can be minimised automatically in your system. To view an animation of the Fox-AS-HR air release valve in action watch the video below, or visit the Bermad Youtube channel. Interested in this solution for your next project? Contact your nearest BWT state office to speak with one of our representatives. If you require further data on the Fox-AS-HR air release valve – you can access data sheets, manuals and CAD drawings from our product page.